Kräftige rot- und rosagetönte Korallentöne sind in diesem Sommer groß im Trend. 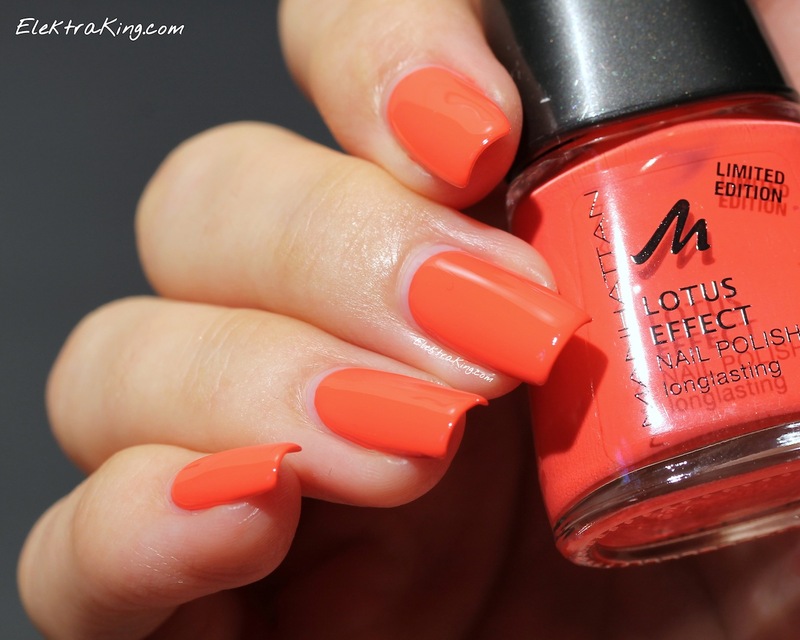 Auch die Manhattan Club Nights Collection enthält ein leuchtendes Korallrot in Cremekonsistenz: Manhattan Coral Clubbeat. Bright red and pink leaning corals are a huge trend this summer. 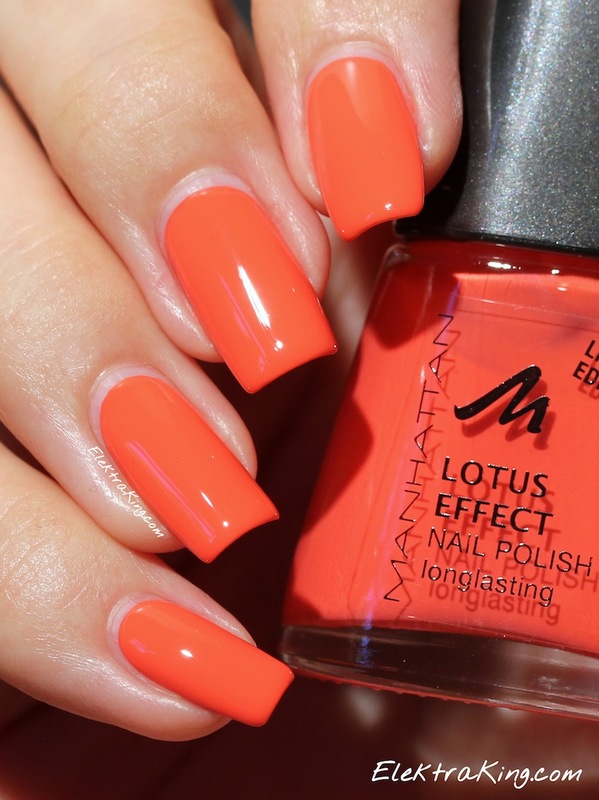 Manhattan’s Club Nights Collection also includes a lovely coral creme: Manhattan Coral Clubbeat. Manhattan Coral Clubbeat ist ein strahlend korallenfarbener Cremelack mit leicht pinkem Unterton (leider kaum sichtbar auf den Fotos). Die Farbe ist beinahe identisch mit OPI Live.Love.Carnaval. Konsistenz und Auftrag waren perfekt! Ich trage 2 Schichten mit Top Coat. 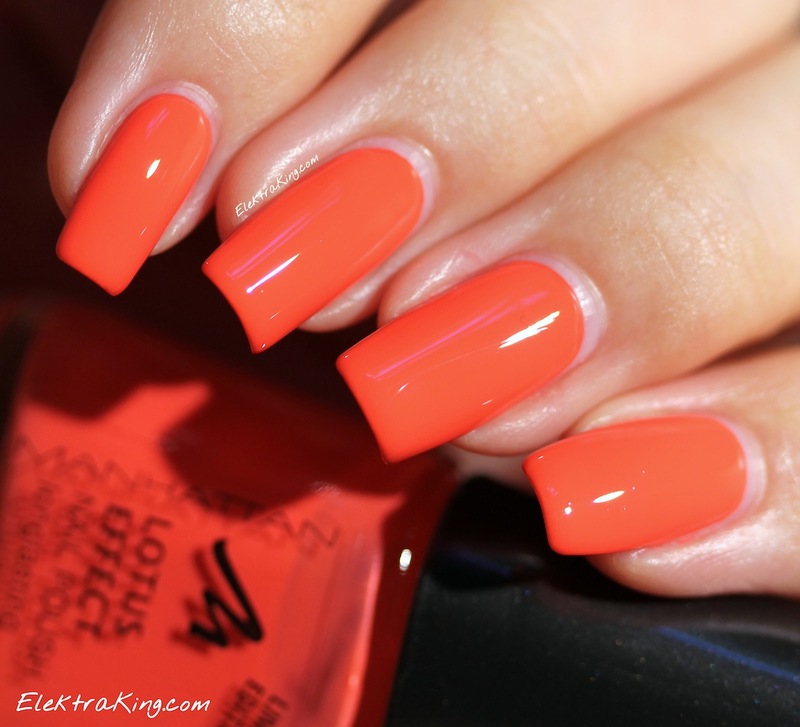 Manhattan Coral Clubbeat is a bright medium coral creme. The color is almost identical to OPI Live.Love.Carnaval. Formula and application were perfection! I used 2 coats including Top Coat. Thank you!! So sweet of you! 🙂 It means a lot to me!